The kids and parents where raving last summer about our fantastic crafts! You too may register at the gym office, or use our Online Registration, for our Summer Day Camps being offered by the week., and our March Break Camps offered daily or weekly. 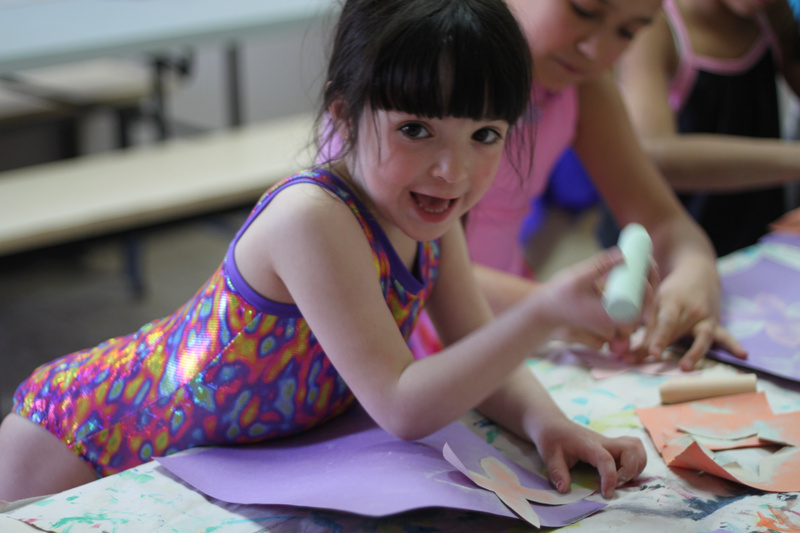 Spring March Break Day Camps are offered daily and by-the-week. Half Day $36.00 is 9:00am - 12:00 noon. A minimum of three  business days written notice is required to withdraw before the 1st day of Camp. If written notice is received less than  days prior, the refund will be subject to the GO Fee and a $20 processing fee. Sorry, but there are NO REFUNDS after the 1st day of weekly camp, and No Refund for a Day Camp if less than 3 days notice is provided. Summer Day Camps are offered weekly in July and August. Full Day 9:00am until 4:00pm, Half Day 9:00am until noon. Pre and Post Care are available. You may book camp online at any time or come in person during office hours. What to Bring to Camp ? Children are to bring their own lunches and nutritional snacks for each day. 1/2 Day - we recommend a snack and beverage. Full Day - we recommend 2 snacks, a nutritious lunch, and enough beverages for the whole day. we kindly ask you do not send any Peanut Products to the gym! Thank you.